Men with plastered hand on white backgroundEven the most common medical procedures require specialized equipment. While this demand is beneficial for the U.S. medical device industry, which employs over 356,000 people at 5,800 companies, it also means that workers in the industry and related fields need to have a solid knowledge of what the equipment does. For something like a bone graft delivery system, employees may need some background on the surgical procedure itself. Learn all about bone grafts and why an efficient delivery system can make all the difference. A bone graft is a method of surgically repairing bones almost anywhere in the body. A surgeon uses transplanted bone to rebuild or repair bones that are damaged or diseased. Often, the surgeon will take bone from the patient’s hips, ribs, or legs to perform the bone graft. In other instances, the surgeon will use donated bone tissue or artificial material to perform the graft. Bone grafts are most often needed to heal bone fractures. 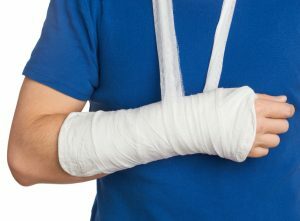 A doctor may recommend that a patient get a graft if they believe that a fracture won’t heal well or if a previous fracture that was not treated with a graft hasn’t healed well on its own. Surgeons also use bone grafts in spinal fusion surgery, treatment of bone diseases, and to help promote bone growth around a joint replacement’s surgically implanted device. WHY IS EFFICIENT BONE GRAFT DELIVERY IMPORTANT? In any of the above instances, the cells of the new bone seal themselves to the ones of the old bone, allowing the body to heal. When a surgeon uses synthetic substitutes for a bone graft, they will often turn to substances that have a similar structure to human bones, such as calcium sulfate, bioactive glasses, or tricalcium phosphate ceramics, to promote similar healing. The amount of bone substitute a surgeon uses depends on the type of substitute and the injury itself. To properly measure it, the surgeon needs a top-of-the-line bone graft delivery device. The right device can simplify the entire process while ensuring that the patient will heal correctly. Knowing the ins and outs of bone graft surgery is essential in being an informed member of the medical device industry. To learn more about one of the most efficient systems for graft delivery, contact SurGenTec today.